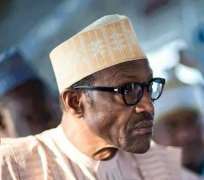 PMB Dead or Alive: Who Speaks for the Presidency? The confusing statements issuing out of the Presidency since late last night when some sections of the media (both social and traditional) began to speculate about the state of the health of President Muhammadu Buhari did not show coordination on the part of those who speak for PMB or manage the perceived crisis. It just looks like there is some in fighting or struggle as to who could better address the very sensitive matter. In deed some Nigerians feel the rivalry is unhealthy at this material time. For veteran journalist and columnist, Venerable Okey Ifionu, the discordant view confuses and obfuscates matters. While commending Mr. Femi Adeshina for handling the matter “pathetically and very professionally” Ifionu condemned Mallam Garba Shehu for being unnecessarily combative the way he handled the same matter. Garba was referencing to former President Goodluck Ebele Jonathan who was reportedly invited for President Donald Trump’s Inauguration in Washington, but somehow was seen at ex-President Olusegun Obasanjo’s country home in Ogun State on a private visit. Adding his voice to the conversation, a practising journalist Stanley Nkwazema said there was absolutely no reason for Shehu to drag President Jonathan into the matter because “it had nothing to do with GEJ”. Meanwhile, in between Femi Adesina’s “professionalism” and Shehu Garba’s “attack dog” approach Nigerians are yet to know the true state of their President’s health. Yet they have the right to know. Disclaimer: "The views/contents expressed in this article are the sole responsibility of ANR and do not necessarily reflect those of The Nigerian Voice. The Nigerian Voice will not be responsible or liable for any inaccurate or incorrect statements contained in this article."